"When a president goes to the General Assembly – it is mostly about meetings." President Petro Poroshenko will meet with US President Barack Obama on the sidelines of the 71st session of the UN General Assembly, which opens on Tuesday, 13 September. "When a president goes to the General Assembly – it is mostly about meetings. We have a lot of meetings scheduled, not only with a focus on Europe, but also on the US," Ukraine's Foreign Minister Pavlo Klimkin diring an appearance on Inter TV on 11 September. "I believe there will be a brief meeting [with Obama], who by the way has paid special attention to the problems of Ukraine during the G20 Summit,'" the minister said on the air of the weekly program Details on Sunday night. Poroshenko will also speak at the General Assembly session. "The General Assembly is, first of all, is the performance. This year, the Assembly will have two sessions of the Security Council. They both will be very important for us, because one session will focus on the Middle East and Syria, while the second will be devoted to security in the air, right ahead of, we expect, the final report on the Malaysian Boeing," said Klimkin. 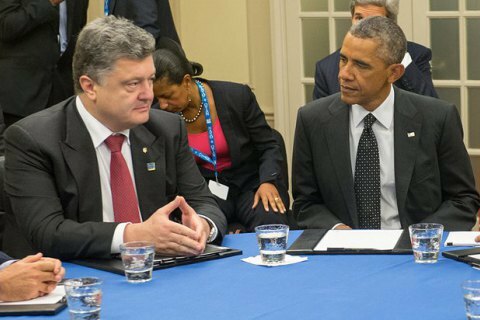 Poroshenko's previous meeting with Obama was on the sidelines of the NATO summit in July.